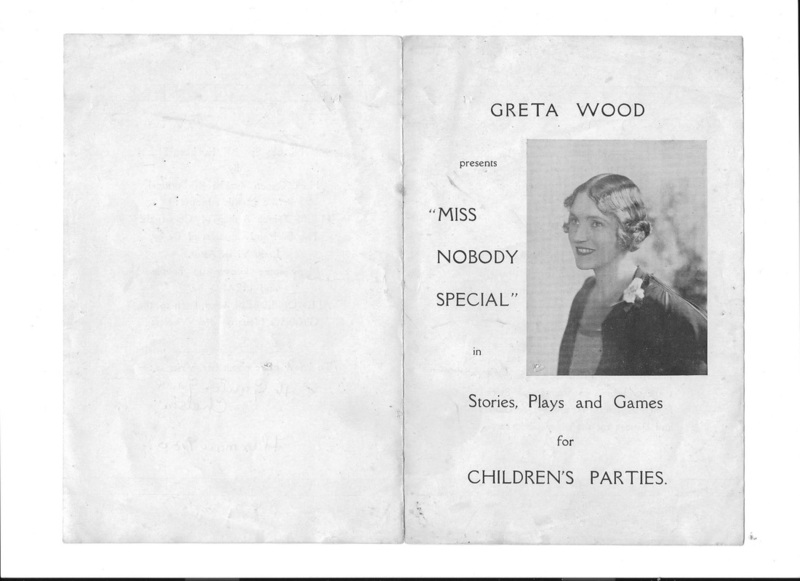 Greta Wood's early career was as a children's entertainment. 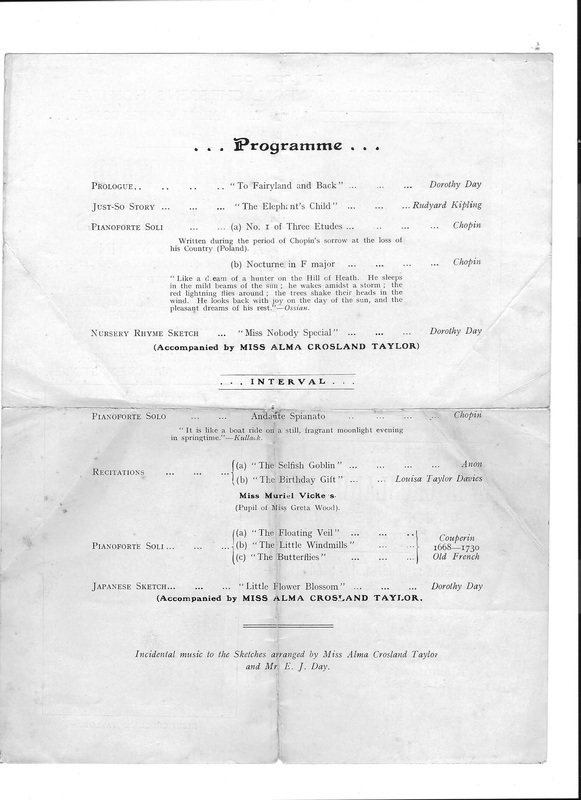 This was programme is of from 1915. 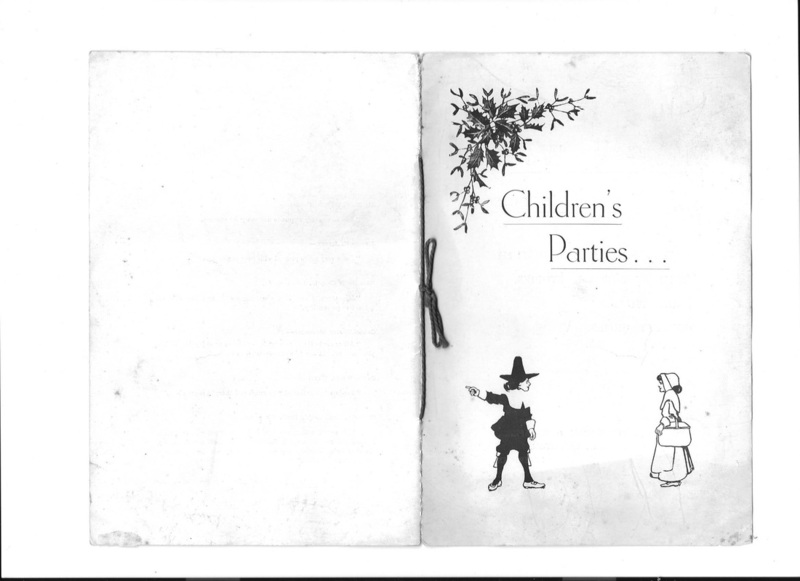 A programme for children's parties, date unknown. 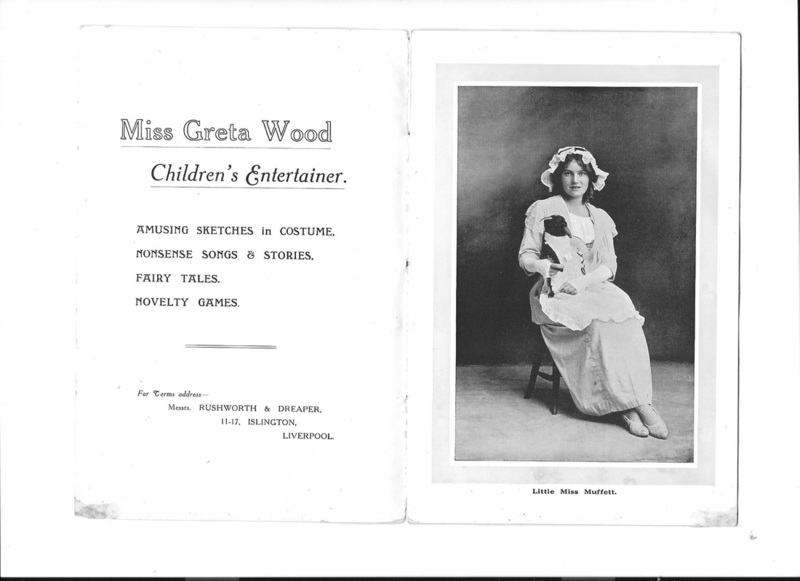 Another programme for Greta Wood as a childrens' entertainer. 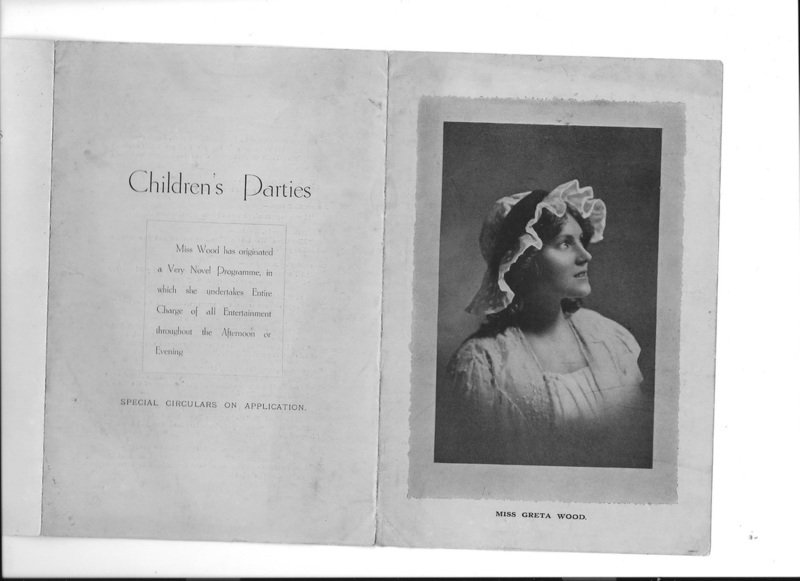 She called herself "Little Miss Nobody Special". 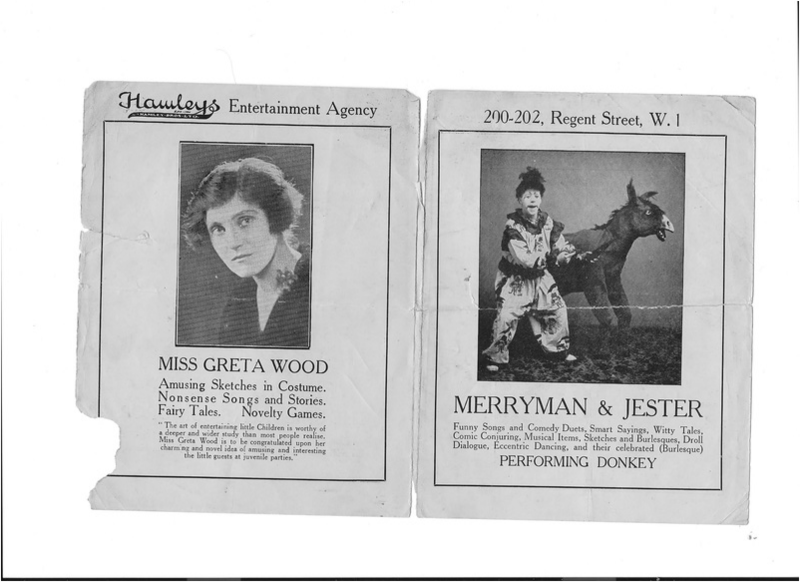 Taken from an advertising sheet for Hamley's Entertainment Agency. 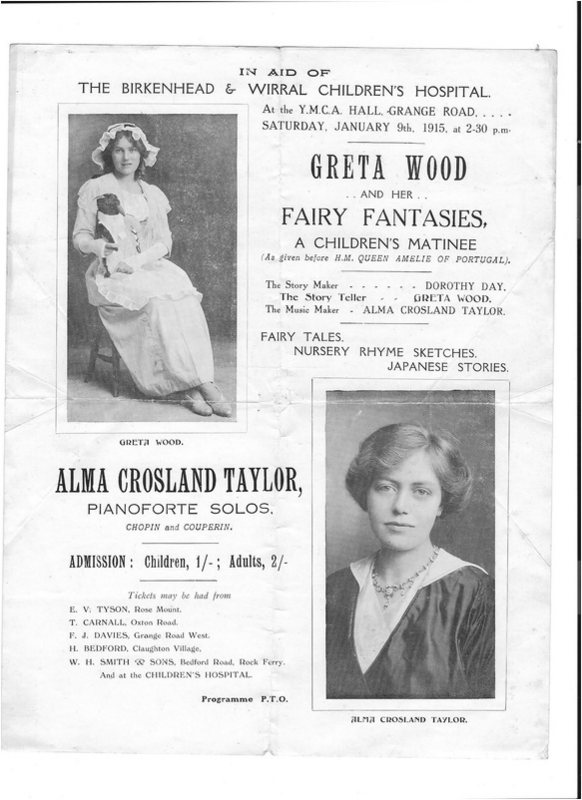 Another programme, which includes Greta's address at the time, 16 Gunter Grove, Chelsea. 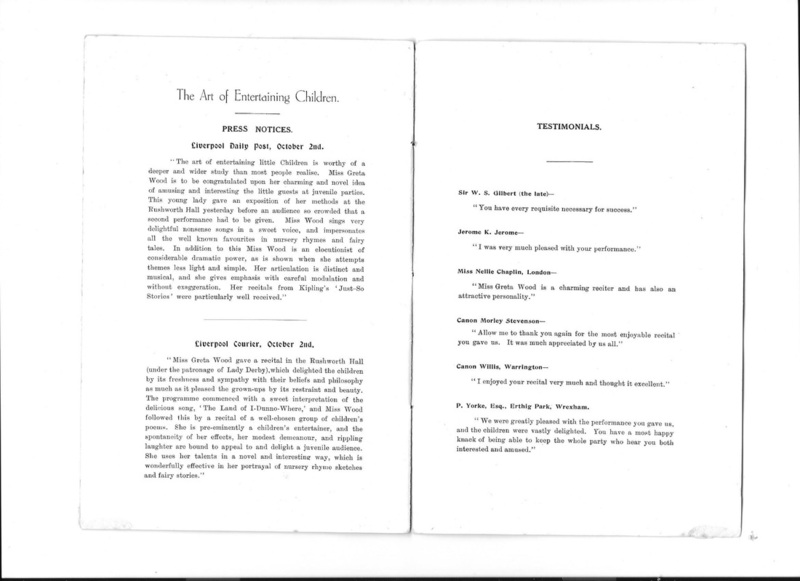 This would probably be pre-1916. 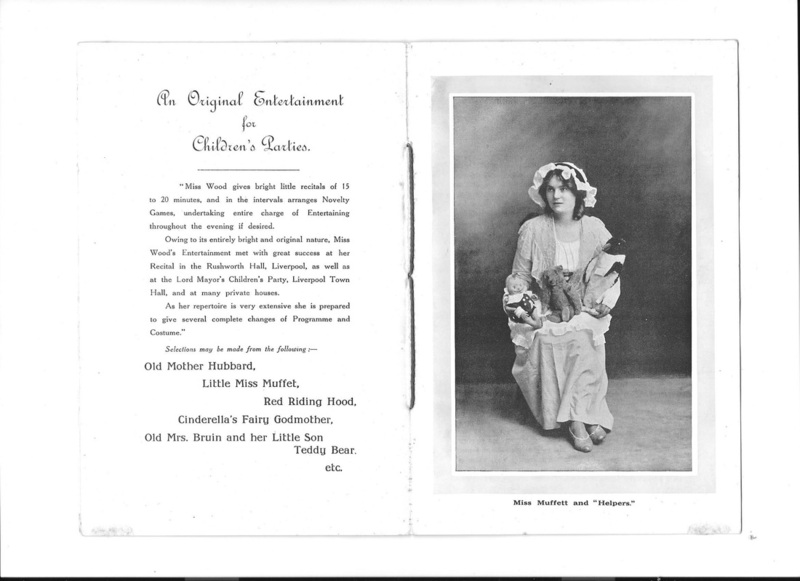 Also in the collection, is a "Little Miss Nobody Special" monologue for children, dated November, 1913. 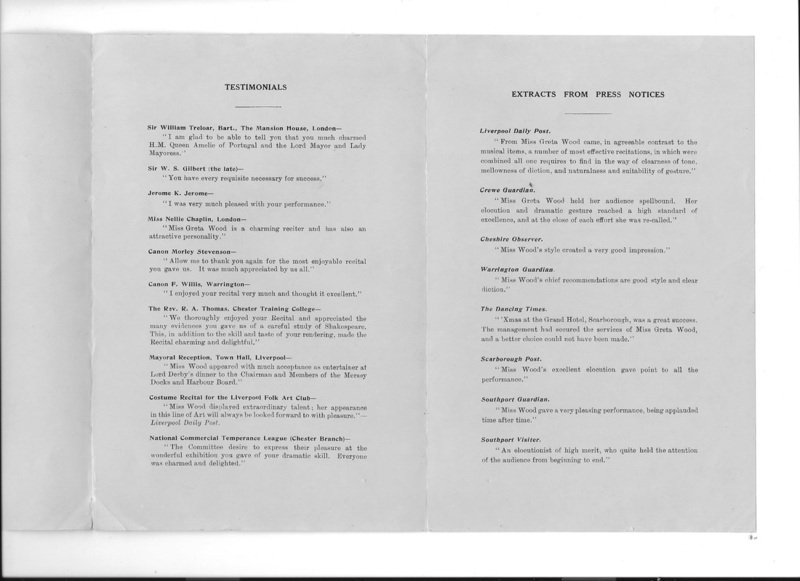 A newspaper article taken from the Liverpool Echo. 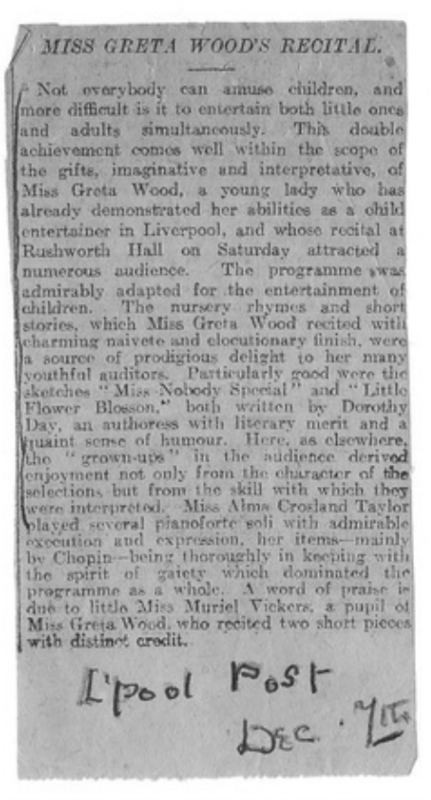 From the Cheshire Observer 31 January, 1914, there is an advert for elocution and reciatation lessons given by Greta Wood. 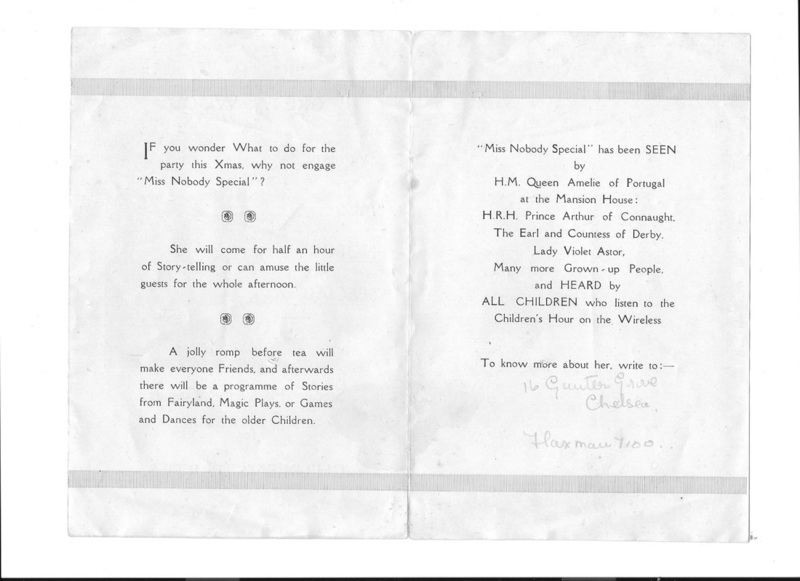 Her address was given as 11 Glan Aber Park, Chester, and had a reference from Queen Amelie of Portugal.